Properties in Oneroa average 4.6 out of 5 stars. Property 4: Studio 33. Sunny and spacious by Oneroa Beach. Property 24: The perfect weekend getaway in this romantic bach. 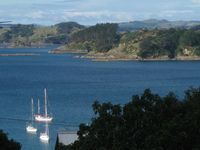 Property 37: Apartment Central Oneroa, Amazing Ocean Views. 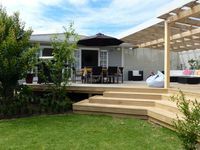 Property 40: A few minutes from the main village of Oneroa.